Would you like to move from self-doubt to clarity about your life’s purpose? Are you already over scheduled and overworked, but still have a desire to make a difference in the lives of others? 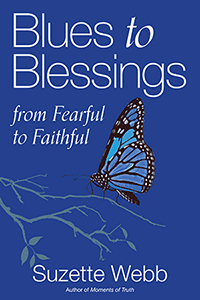 Here at Blues to Blessings, we’ve prescribed a 4-step plan that will help you move from a place of monotony and dissatisfaction to transformation and fulfillment, so you can embrace the specific plans God has for your life. How far are you willing to step out in faith in pursuit of your deepest desires? Click here to take our 4-minute quiz and find out. You feel stuck. You struggle with self-doubt and confusion. Over-scheduled and overworked, it’s hard to take time to rediscover what God has planned for you. But in just four minutes you can find how far you’re willing to step out in faith in pursuit of your deepest desires. You’ve taken the quiz, now use these insights to rediscover yourself, deepen your connection with God and embrace the plans He has for you. 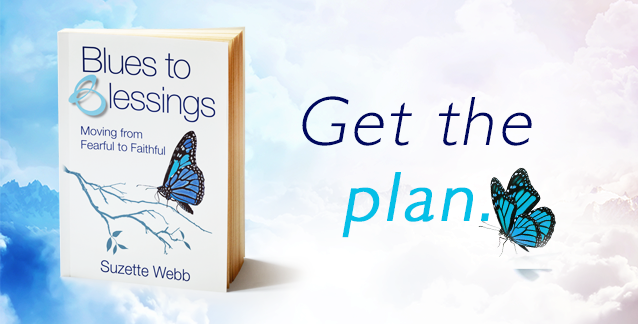 Discover this impactful 4-step plan in Suzette’s book, Blues to Blessings. Knowing the path and walking it are two different things. Refresh your spirit and keep your resolve to stay your course by subscribing to Suzette’s B Moments – a 2-minute daily devotional that helps you set positive intentions for your day. Sign up now to start receiving this inspiring wisdom!